The near end of the ABS-CBN Primetime Bida “Ikaw Lamang” is full of action, suspense and drama. The first book of ABS-CBN’s teleserye “Ikaw Lamang” has ended with a Titanic-like scene on the water with a ship that exploded because of Franco. That was the end of the first book and there will be changes on the characters as the teleserye will progress to the future. After what happened, Franco, the governor of Salvacion was sought by media to answer queries regarding the biggest maritime disaster that took place in the place. An investigation was done in order to know the cause of the sinking of the ship and it was found out to be an explosion. When this was presented to the governor, he tried to convince the investigator to tweak the results of the investigation. Instead of explosion, it should be a gas leak and the investigators were unable to answer because they were threatened, along with their families by the governor. Gabriel, the son of Samuel survived and he reached the shore while wearing a life jacket. He then tried to find a food to eat since he hasn’t eaten any meal since the ship exploded. Gabriel went to beg for a food from people eating on a canteen but there was no one who gave him food. It was hard for him to find a place to stay until he was found by a couple. Later on, the couple was able to raise Gabriel until he grew up. He was full of hatred towards Franco because of the revelation that he was able to kill his parents. Time passed and it was already year 2005. On the airport, Natalia in the person of KC Concepcion arrived in the country from abroad. Her tita was interrogated by media about the plans and situation of the senator, Franco Hidalgo, who was before the governor of Salvacion. 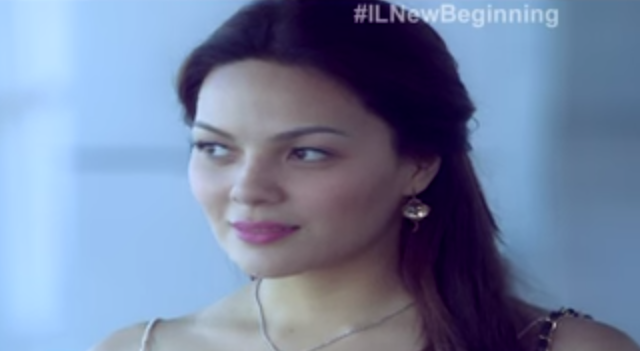 Natalia went home because she had a plan to get married with her fiancé. And since she only had a few time to stay with her father, she was able to affect his schedule. Natalia tried her best to book for a moment she and her father could enjoy. Her tita who has been preparing her birthdays for years was also the one who was able to prepare Natalia’s wedding that made her proud of her tita. The last part of the episode was the wedding proper of Natalia when they were inside the church. Instead of being happy and exciting for the wedding, something has happened. Read the Read all other Episodes Summary of Ikaw Lamang here.